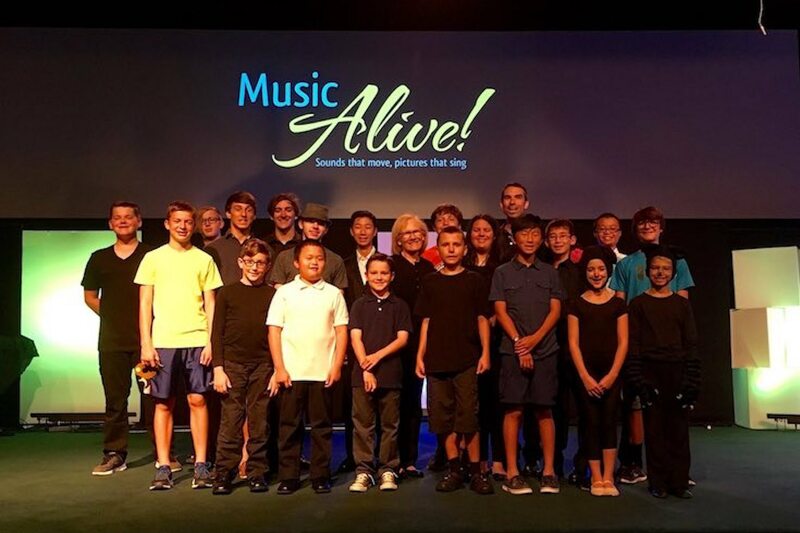 Music Alive! 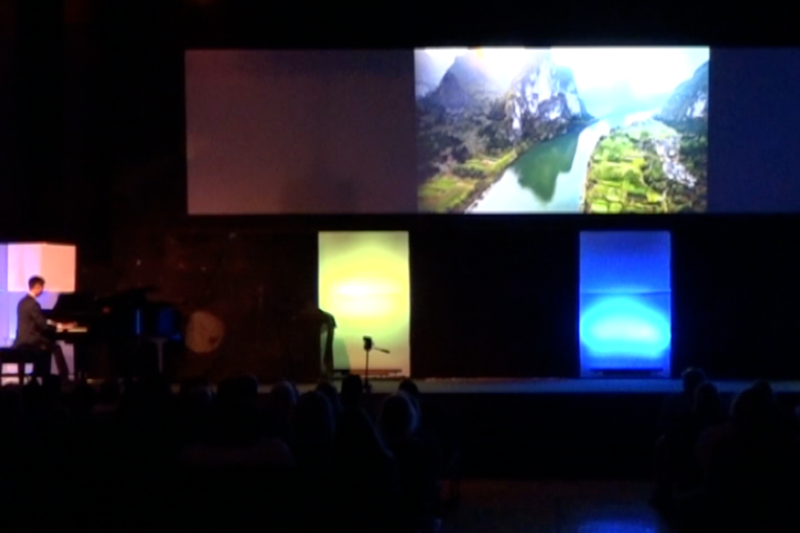 is an exciting multimedia experience that students put together each year. It combines music with videos, slideshows, graphics, lights, movement, acting, and more! Scroll down to see some examples. . .
Photo slideshow that depicts the magnificent beauty of the trees that the music provides. Originally this was my adult student Diana’s project. 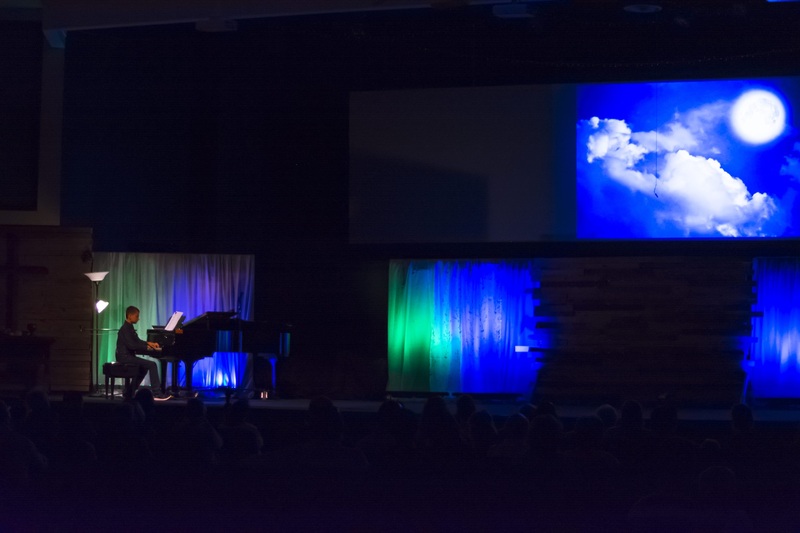 She played it at our concert while these images were on the screen. But I lost the recording of that. I recreated it and recorded it myself and then synced it with the photos. Magic Music Visualizer used to create individual representations of all 3 voice of the Fugue. Each voice part recorded with a different instrument sound using Garageband. 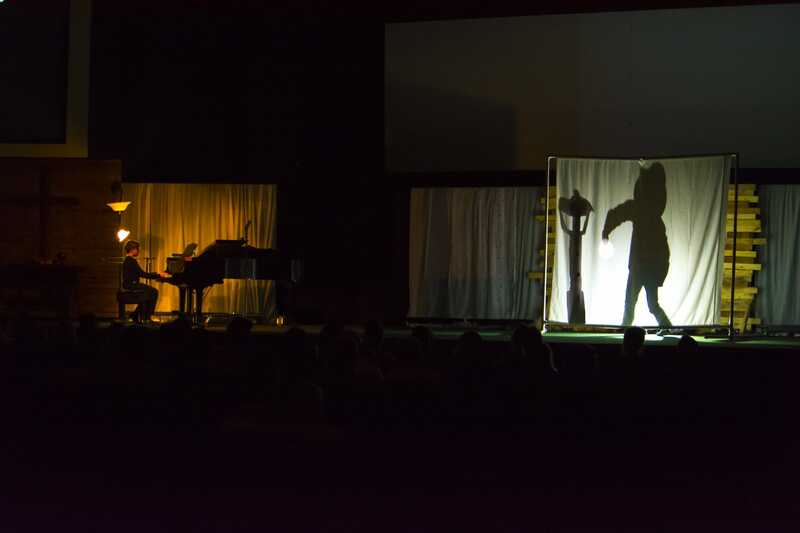 Live performance of Philip playing the piece while 2 people controlled LED light boards to sync with the music. Video clips of busy cities and train stations in Japan, with a time lapse of the sun traversing the sky during the middle section of the piece. This was Noah’s project in which he played it on stage while we all watched the screen. But I don’t have that recording so I recorded it myself and put it together for you to see. Adam created his own visuals to synchronize with the music. He recorded himself on his piano and then combined it all together. Various video clips combined with Ella’s performance of the piece. Noah took a video of himself solving a Rubik’s Cube. He then composed music to coordinate with each move of solving the puzzle. He recorded the music using Garageband and then combined it all together. One of our instructors played excerpts from these variations, and they seem to go perfectly with old black and white movie clips! Jason took a screen recording of himself playing the game. 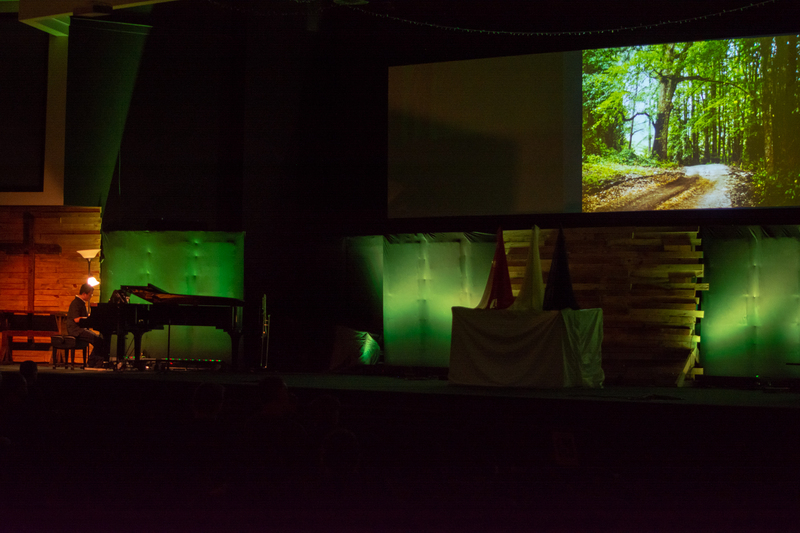 This was projected on the screen at the concert while he played the piece, carefully watching to match the game perfectly. 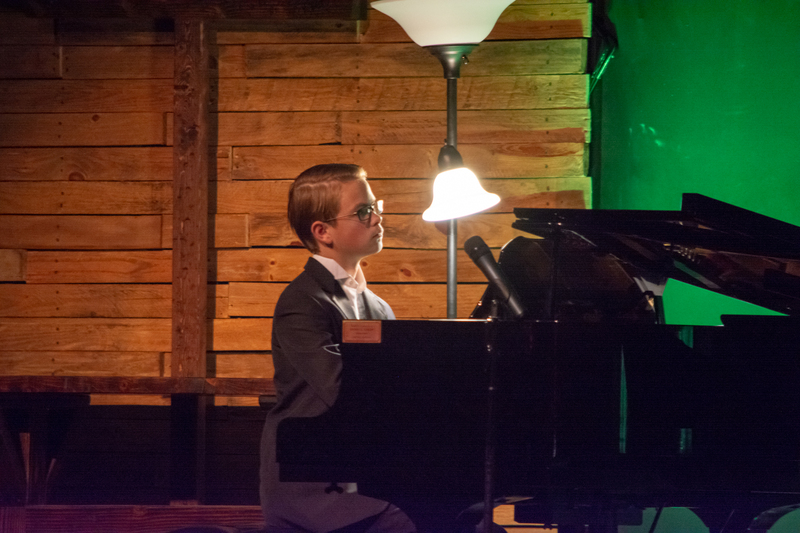 Joseph played the piece on stage while 2 people acted out the scene on stage! Philip recorded this ahead of time, and then syncronized it with videos and photos. It’s quite dramatic! This uses a graphics visualizer called Aeon by Sound Spectrum. It responds visually to the sound. Mandy wrote a story to match the music and then found images to help with the mood in the background. Brian improvised live at the concert, playing to match the video of the Great Belt Bridge in Denmark. Ashton recorded different tracks separately and then we combined it all in Final Cut Pro, syncing it all together! Then we showed this video at the concert. This humorous song is from the perspective of a young girl. Karis sings it while Clinton plays the piano. Text and images on screen during the performance. TJ found beautiful time lapse footage to pair with this piece. 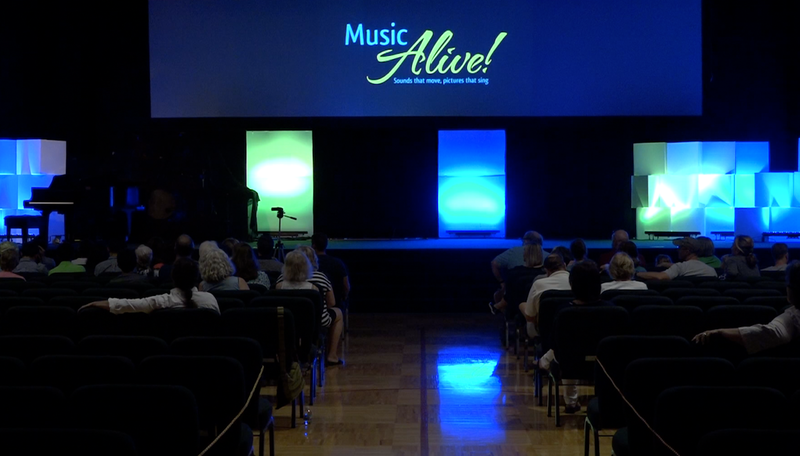 Photos from Music Alive . . .
What others are saying about Music Alive . . . I thought that the Music Alive! concert was a great way to change up the typical concert/recital routine. I got to spend more time exploring the colors and textures of the music and then visually demonstrate even more of my interpretation in my performance. It was a ton of fun, and my whole family commented on how much they enjoyed it. One of the things that I liked most was the individual creativity. It was so wonderful to see these kids of all ages coming up with their own music, interpretation, and ideas. The multimedia format was great at expressing what was in their heads and how they wanted to convey that to others. That is what makes music interesting and keeps the kids engaged. My kids had fun and so did my family that came. As someone who does not enjoy performing in front of an audience, the addition of the visual component provided a distraction for me. I think I was still nervous, but at least I felt like all eyes were not on me!